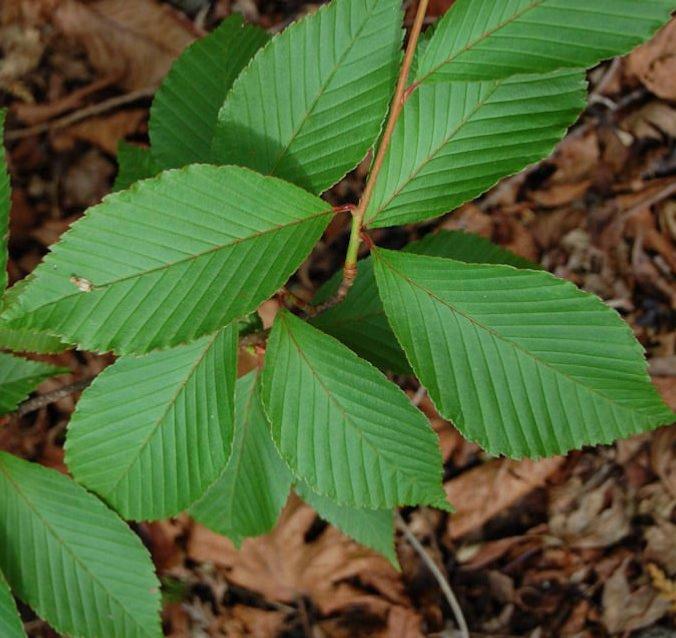 Sorbus meliosmifolia is a rare deciduous shrubby small tree 10m or so high; young shoots glabrous, purplish brown;winter buds glabrous. Leaves ovate-elliptical, slenderly pointed, tapered at the base, more or less doubly saw toothed, 100mm to 175mm long, half as much wide, green on both surfaces, though attractively reddish on emergence, woolly on the midrib and veins beneath; veins parallel, in eighteen to twenty-four pairs; stalk 10mm or less long. Flowers white,hawthorn-scented, borne in April in dense attractive corymbs 50mm to 100mm wide;inflorescence-branches sparsely hairy at flowering-time. Fruits nearly globose, about 10mm long, bronze-coloured and dotted with lenticels, ripening very late in autumn; calyx deciduous, leaving a rounded depression at the apex. 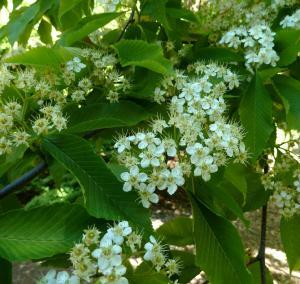 Sorbus meliosmifolia was discovered by Ernest Wilson in October 1910 growing in woodland near Mupin in W. Szechwan, and has since been reintroduced by Mikanori Ogisu and others. It is very closely allied to Sorbus caloneura. The specific epithet refers to the resemblance of this species to leaves of many species of Meliosma, with their attractive regular pattern of ridges and furrows. 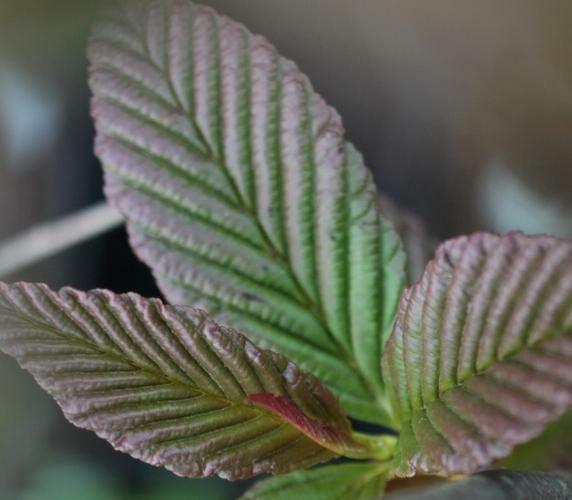 A choice small tree or shrub for the connoisseur - very beautiful in early spring when the new foliage emerges, rather lovely in flower in the later spring,and then throughout most of the season with its beautifully textured foliage. Its fruit is not its greatest asset, but does last well into the autumn, providing much needed nutrition for birds.